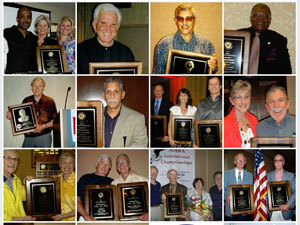 The NMRA Hall of Fame honors past or present members who have made significant contributions in two categories. A Player Competitor / Performance inductee is a highly skilled and accomplished athlete with an outstanding playing record of medal wins and true sportsmanship. An Outstanding Volunteer Leadership / Services Leader is a dedicated and skilled volunteer contributor who has given of their time and talents to the growth of quality NMRA programs and activities. Nomination, review, selection and induction is based upon years of consistent and significant achievement, highlighted by outstanding personal sportsmanship of the highest quality. Eligibility criteria, nomination and voting procedures are published in the NMRA International Hall of Fame By-Laws, Policy and Procedure Manual. information may be found on the In Memoriam page.